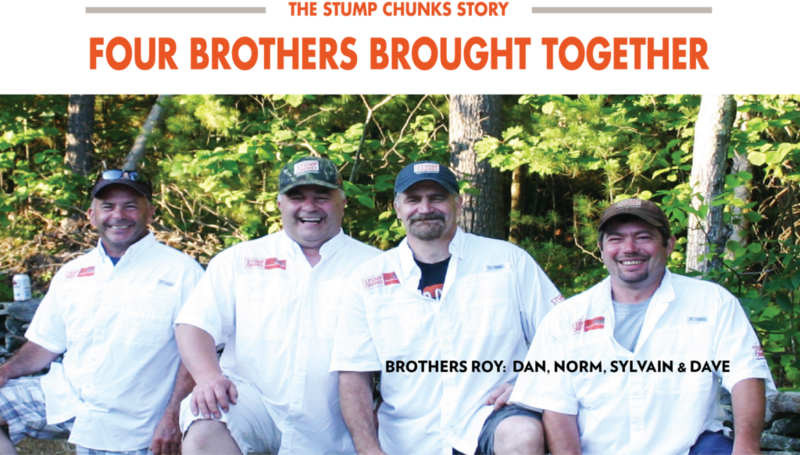 Stump Chunks was developed by four brothers in NH, it is the culmination of an innate knowledge of the slow growing, dense wood native to cold New England climate and a lifetime of making memories around the fire with family. For years, stumps would be placed in a big hole and covered up leaving them to decompose, thus contaminating our water supply. But after a generation of recycling and finding better ways to utilize this natural resource, the brothers discovered one more use. Stump Chunks was born one cold night when the brothers discovered how easy it was to start a fire using dried chunks of wood from old tree stumps. It sounded a little crazy to sell the product; it seemed too simple. But it worked so well that we just had to share. Completely green and self sustaining, Stump Chunks is 100% wood. It contains absolutely no chemicals or additives. The secret to this magic is in the stump itself. It just took some clever but chilly fellows to figure out how to unleash its potential. Now, instead of spending time trying to light your fire you can use Stump Chunks and spend more time enjoying yourself with loved ones. “IT JUST WORKS!” – View our Testimonials!